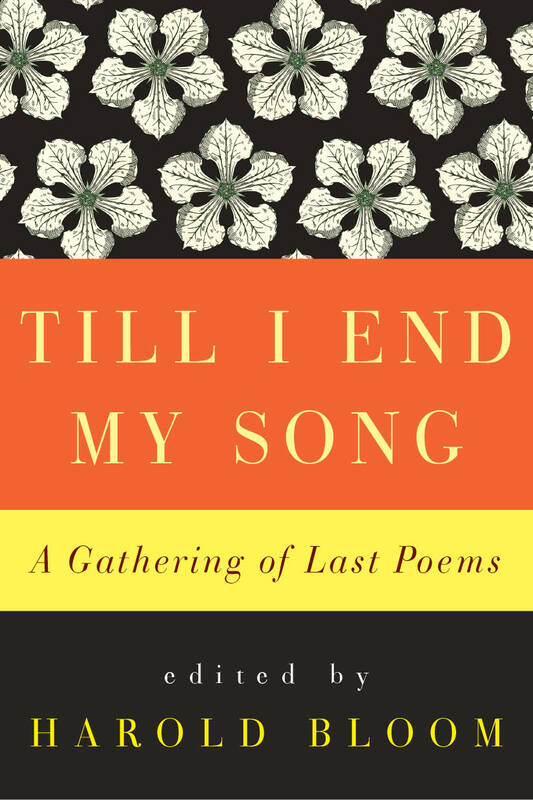 In Till I End My Song, Harold Bloom selects the last poems of one hundred influential poets. These poems, written at either a literal or an imagined end, offer unique insight into the nature of art and the inevitability of death. Bloom’s anthology includes the work of well-known poets like T.S. Eliot, Alexander Pope, W.B. Yeats, Walt Whitman, Emily Dickinson, and Shakespeare, but also seldom read poets such as Conrad Aiken, William Cowper, Edwin Arlington Robinson, George Meredith, and Louis MacNeice. With Bloom's own lively commentary, Till I End My Song is a gem.